Just got back from BlogHer Food in San Francisco yesterday. I was nuts and stayed up way too late downloading and editing all my pics from the trip. See what our weekend was like at the BlogHer Food Conference and all of my pics HERE. 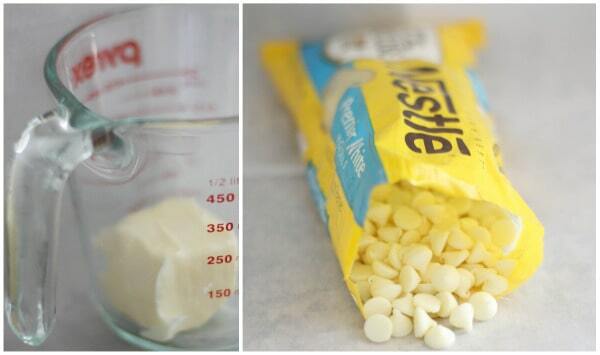 You’ll melt your butter until nice and hot then add some white chips to melt. 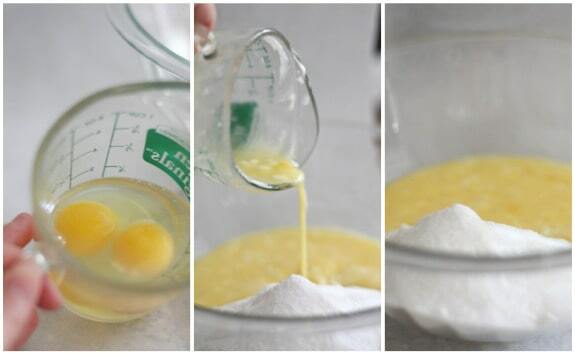 …whisk 2 eggs with a little sour cream then add to the bowl! …don’t forget more white chips! ……and a little cinnamon and grated nutmeg! The candied/crystalized ginger makes the recipe, do find some! Bake 350 degrees F. for 28-35 minutes or until toothpick comes out clean from center. 2. 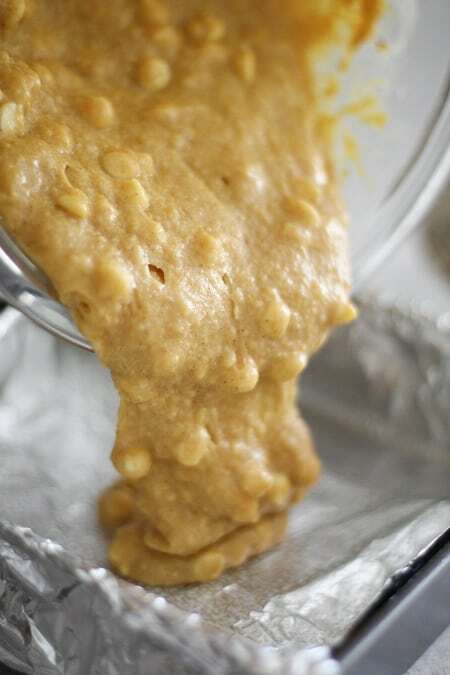 Mix heavy cream and powdered sugar in small bowl until smooth, drizzle over blondies just before serving. Have a great new week! Come back soon! Come vote for Picky Palate today, thanks a million! Click HERE. I’ve been looking for the IT-pumpkin recipe I’ll be using this year and I think I found it. Last year I tried to make white chocolate chip pumpkin oatmeal cookies and they were a yummy combination. 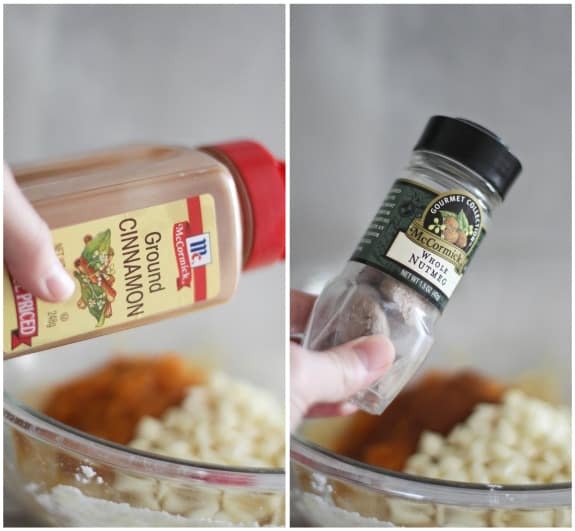 Would this recipe work in a pretty pumpkin bundt pan? I found the most darling mini ones today! If you have the mini bundts I think this recipe would be perfect for it. I don’t think it would work in the large bundt, maybe if you doubled the recipe 🙂 Happy baking! I don’t think I could wait for them to be chilled! I am really bad about letting things even cool before I try them. White chocolate chips and pumpkin is not something I would have thought of putting together. Looks great, thanks! YUM!! So perfect for fall! Wow! This look fabulous! I love blondies! As always this looks amazing! 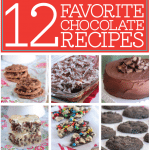 I love ALL of them….but have to limit your goody recipes…as I eat them all within a few days! Anyway, was watching The Today Show, my fav, and saw that they are holding a cooking contest for Thanksgiving/Fall. ENTER!! Your cooking, beauty, and personality would be PERFECT for the Today Show!!! These look so great!! I stocked up on pumpkin awhile back (I wasn’t sure if the pumpkin shortage was true or a myth and I didn’t want to take any chances) so I really need to get baking up some pumpkin recipes. Now who could resist this…pumpkin and white chocolate….yum! i think i just died when i read this…holy yum! 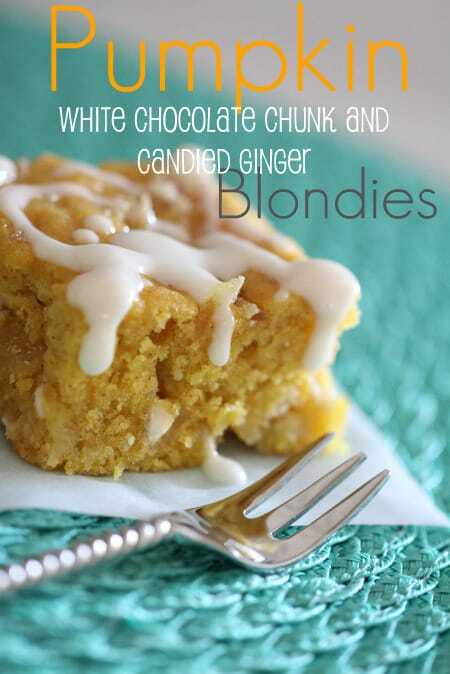 these are perfect for fall, and i LOVE blondies! Love these! I will try these for sure! Great fall treat! I love the ginger in there! OH WOW, gorgeous pictures – How can I resist? 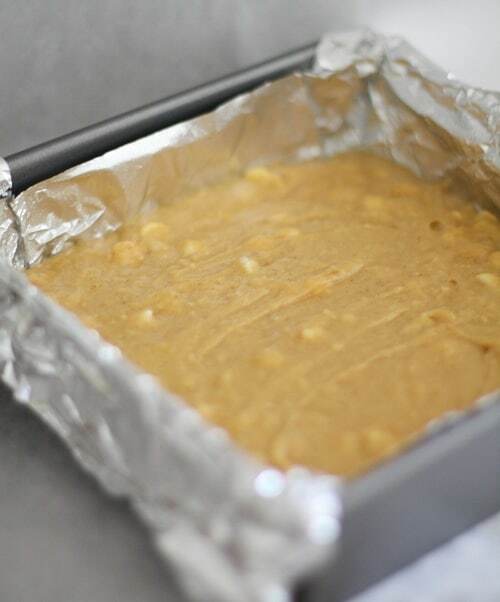 How much ginger for the pumplin ginger blondies… can you get candied ginger at the super market? wow! that little cake has so much flavor packed in it. nice combo. love it. Love this one! Where do you get those cute forks?! Got those cute forks at Cost Plus Market 🙂 Love that place! 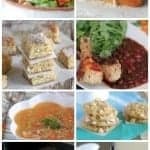 I about died when I saw this recipe, but then I totally flipped for the forks! Okay, these look so perfect for fall. 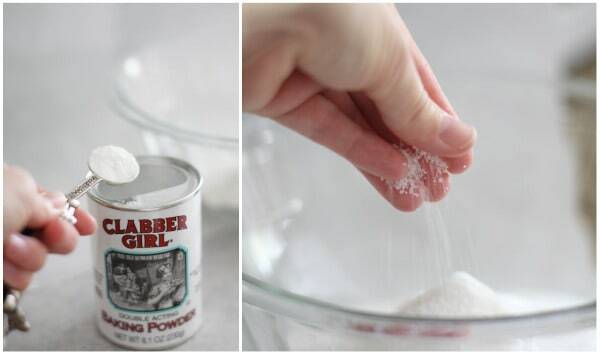 Love that you used candied ginger. 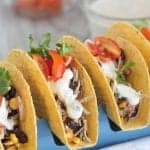 These look great am going to make them today. 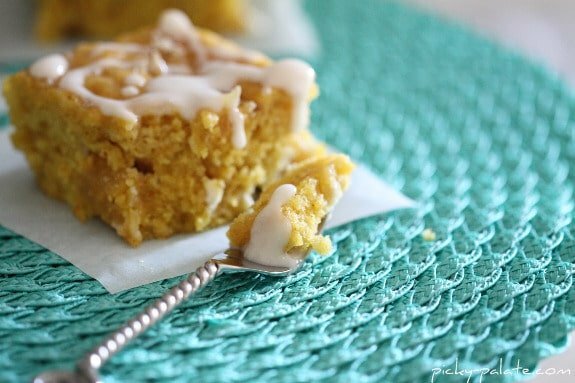 I made pumpkin blondies with white chocolate chips last year, and they were sooo good. Love your addition of ginger! Oh my, these look awesome! I need to start baking with pumpkin and this looks like a great recipe to start with. Pinch me I’m dreaming. No seriously. I’m pretty sure I dreamt about these last night. Amazing. 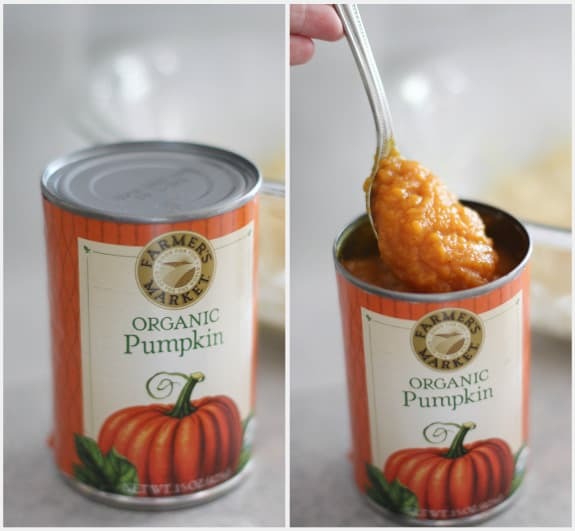 I’m on a huge pumpkin kick right now…I love this recipe! I know you had a great time at Blogher, I was following your tweets! Thanks so much for letting us know the highlights of the lectures! I learned so much!! 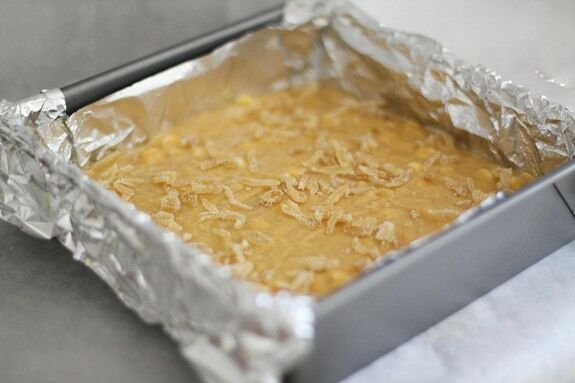 Your Blondie Bars looks so moist and delicious! This is so good! 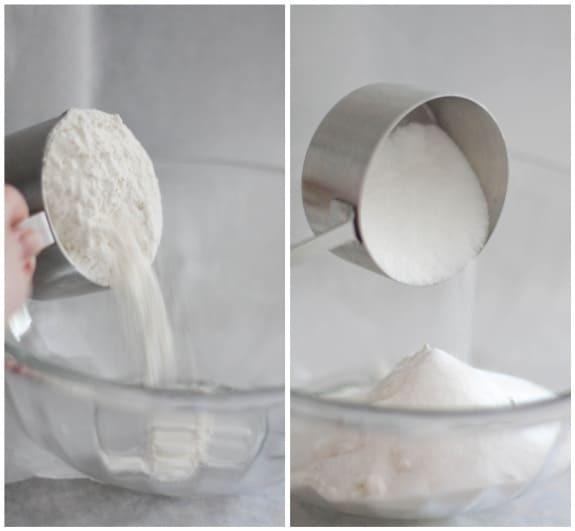 Is there a way to print this out for using in the kitchen? These look fabulous Jenny! I love the addition of white chocolate and candied ginger. These look awesome! I made pumpkin blondies recently, but these look MUCH more delicious. I love the addition of candied ginger! Just discovered this post via a link from The Messy Apron – I am totally sold on these pumpkin blondies (with the addition of white chocolate & candied giner, what’s not to love), and now I’m sold on your blog. Can’t wait to read more. 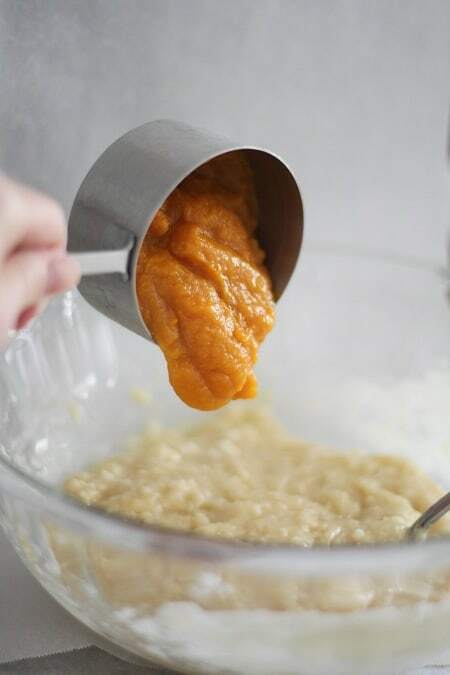 Great photo of pumpkin puree being poured into the bowl. 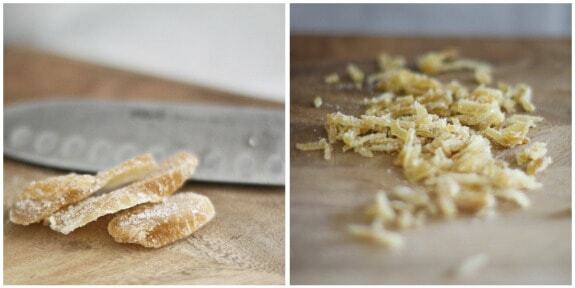 White chocolate & crystallized ginger are a brilliant combination! These look awesome, I just know they’re going to be great. Thanks for the eye candy Jenny. These look so good…I checked and at 10:00 pm I had all the ingredients in the cupboard…they are in the oven now. The secretaries at my school will be so gratful to you tomorrow! tried this recipe tonight, and everyone loves it! thank you!! Oh WOW!! These look so good! I’ve been starting a little collection of pumpkin recipes I want to try this Fall and this on is at the TOP of my list!! shut up! This is too much! I seriously want to make these right now. ALTOUGH I DONT LIKE PUMPKIN YOU MADE THE DIFFERENT – AND OPPPPSSSS I LIKE IT VERY MUCH !!! These are calling to me! 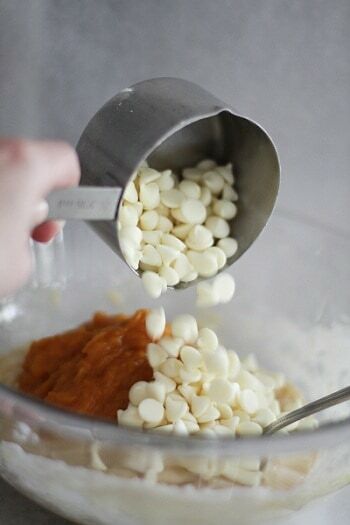 But do you think I could put chocolate chips instead of white chocolate chips? YUM! 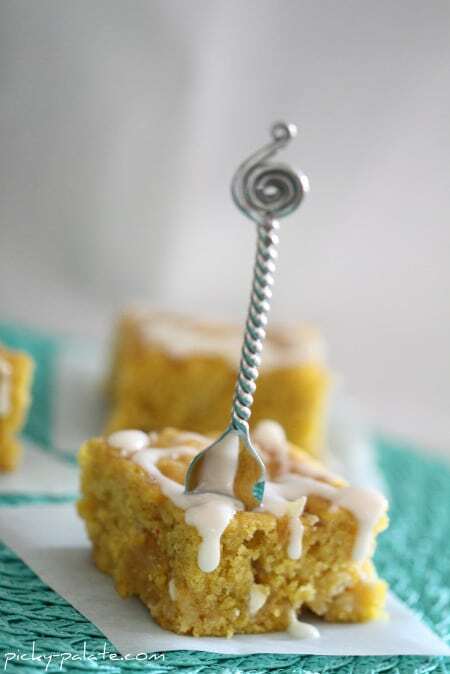 I love these, they look so good, what a great pumpkin recipe, yummy! Hi Jenny! I’m so glad I met you and got to discover your amazing site from the BlogHer food conference!! This is now my top site to consult for those daring days that I decide to cook!!!! These look delicious! I love your photography… you must have been paying attention in the BlogHer session when they said blue is opposite of orange. It looks beautiful! You had me at pumpkin and white chocolate, but add in candied ginger? Genius! I can’t wait to try these! These must have been incredible. I am all for anything pumpkin flavored. Off to vote for you on the BHG site. Good luck to you! Seriously? My thighs are rubbing together just reading this. I’m a foodie through and through! And yes, even thought my jeans are burstin’ at the seams (all that fall cooking) I will certainly give it a sampling. Great looking blondies! Like the combination of pumpkin, white chocolate, and candied ginger. It was so nice to meet you at Blogher! Where can you find the ginger mentioned in this recipe? Am also interested in your favs from Trader Joes? I just discovered this store a few months ago!! OH MY! !